Introducing the IQ Dispense: Change Dispensing Safe. The IQ Dispense is suited to any business that needs to hold a considerable amount of change. 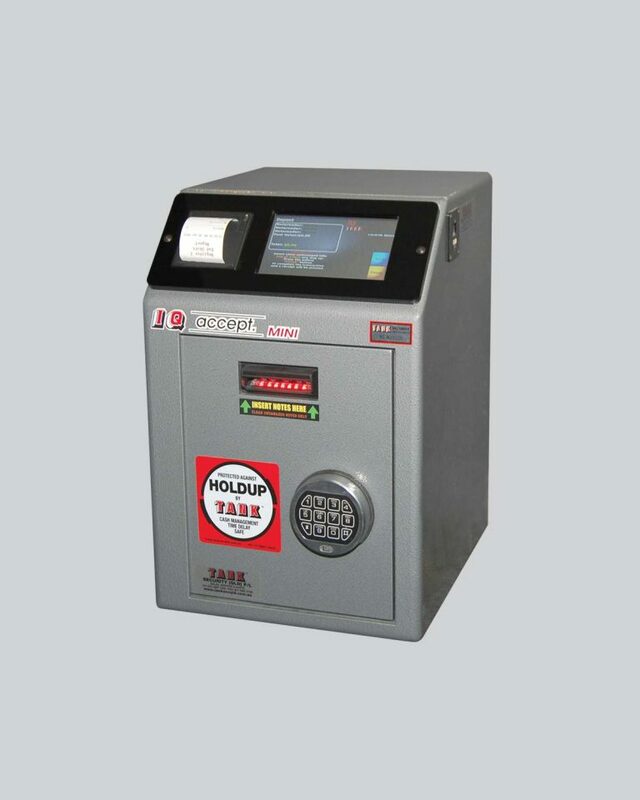 This compact coin dispenser with built-in note reader ensures fast cash management without leaving the premises. Introducing the IQ Accept: Note Clearance Safe. IQ Accept has been designed to suit the busy 24 hour retailer. Its note reader setup is perfect for sites who need to make regular cash drops with the added bonus of a posting slot for the deposit of cheques and change. Available in a range of sizes and note capacities. Introducing the IQ Select: Superior Note & Coin Control. The IQ Select is suited to the business that requires the complete package. This safe incorporates all the functions of the IQ Dispense and the IQ Accept into one complete retail cash management solution. 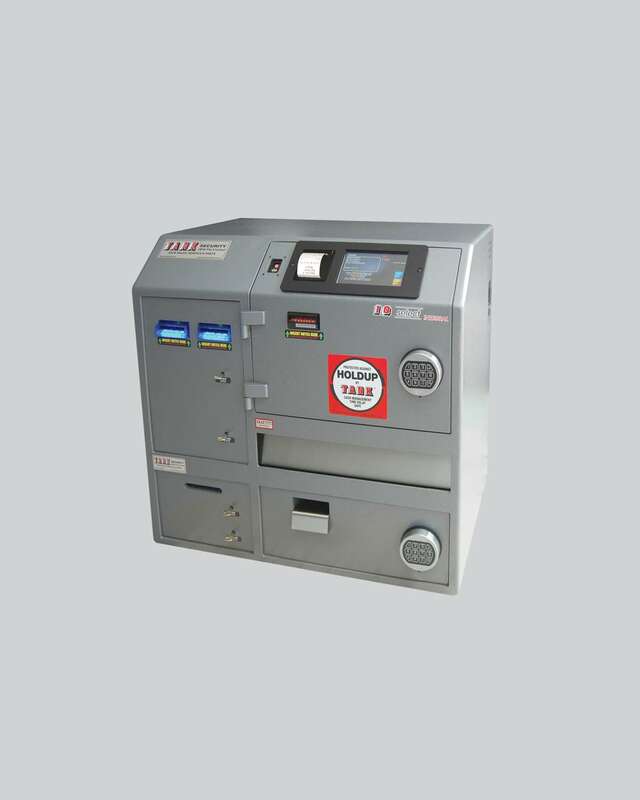 It is a multi-purpose cash-vending unit and drop safe designed to enhance and facilitate cash management operations. With all the features of the full size models, the IQ Accept Mini is perfect for the retailer requiring a note clearance safe but limited by available store space. The compact design of the IQ Accept Mini allows it to be easily installed into a pre-existing point of sale area. Staff can skim the till and deposit funds without leaving the customer service area. IQ Accept Twin has been designed to suit the busy 24 hour retailer. Its twin note reader setup is perfect for sites who need to make regular cash drops with the added bonus of a posting slot for the deposit of cheques and change. Its sleek design allows for installation under a standard height counter with the added advantage of being an all-in-one stand-alone unit. The IQ Dispense TACD is suited to any business that needs to hold a considerable amount of change. This compact coin dispenser with built-in note reader ensures fast cash management without leaving the premises. 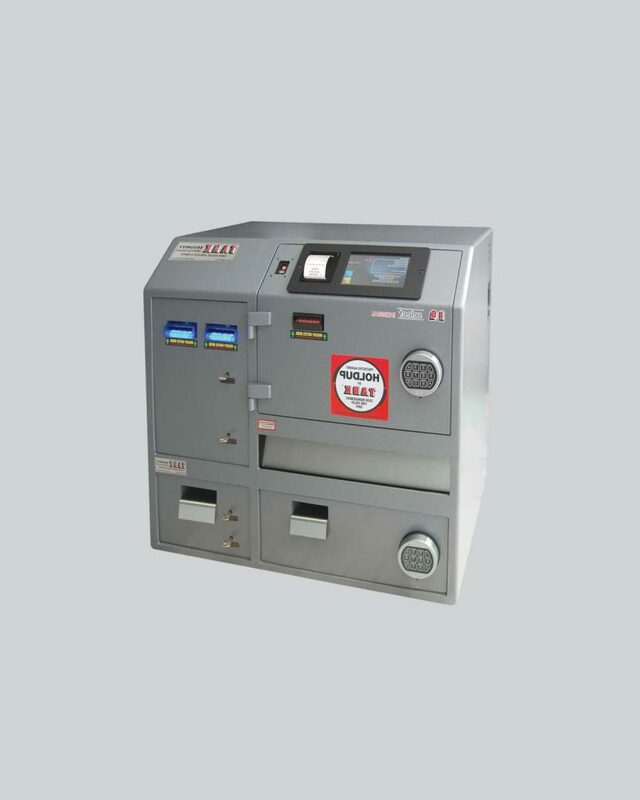 It is a multi-purpose cash-vending unit and drop safe designed to enhance and facilitate cash management operations. 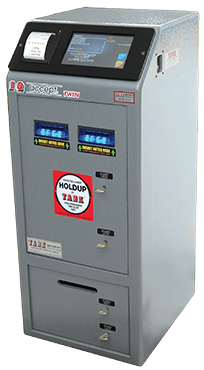 This safe provides easy access to change within the point of sale area and reduces cash register holdings to a minimum, preventing and discouraging armed robbery. Coins, notes, vouchers or similar items can be loaded into tubes, then placed into the columns in the machine. These tubes can only be vended by inserting the nominated value of the tube into the note reader. As tubes can only be dispensed when purchased, the treasury will always balance. 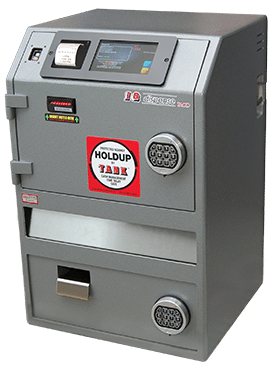 When buying change, notes are inserted into a high quality CashCode note reader and stacked in a 400 note capacity cash box. The IQ Select is suited to the business that requires the complete package. This safe incorporates all the functions of the IQ Dispense TACD and the IQ Accept Twin into one complete retail cash management solution. Its sleek design allows for installation under a standard height counter with the added advantage of being an all-in-one stand-alone unit. This safe also allows for additional remote satellite readers to be added within the store at other point of sale locations. We advise that Tank Safes Australia has been attending to the cash and teller safe servicing requirements of QT Mutual Bank Ltd (formerly Queensland Teachers Credit Union) for at least the past 15 years. All our enquiries and service requests are handled in a very prompt and professional manner. In particular their handling of urgent service calls (safe lock outs) is excellent and on most occasions will contact our branch staff directly to talk over the issue in an attempt to ascertain the problem prior to the arrival of the serviceman. When attending to regular servicing, their technicians will always take the time to speak to our branch staff to ensure that they are fully conversant with the operation of the unit. This has significantly reduced the number of emergency call outs caused by operator error. In summary QTMB and Tank Safes Australia have a very good working relationship and we have no hesitation to recommend their services to other businesses. Should you require any further details please do not hesitate to contact me. The valued services Tank Safes Australia has provided the ALH Group over the years has been exemplary. Being a Hospitality business we trade up to 19hrs daily, and have 100’s of safes across Queensland all of which are serviced by Tank Safes Australia. Tank Safes Australia provides services well outside normal trading hours and goes to significant lengths to ensure our safes and cash are secure and accessible in line with our business demands and company expectations. 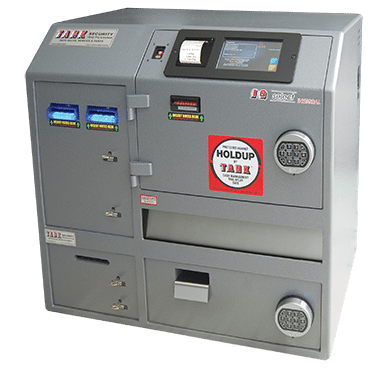 Tank Safes Australia have also assisted in customising safes specific to our requirements to ensure the ALH Group maintains a level of security to meet the changing demands of the environment. Additionally we have entrusted Tank Safes Australia with the removal of safes with content for remote accessing all of which have been handled with the utmost honesty and accountability, I would have no hesitation in recommending Tank Safes Australia securities, services and integrity.